If you’re looking for a new and used Kia dealership in North Aurora, you’ve come to the right place. 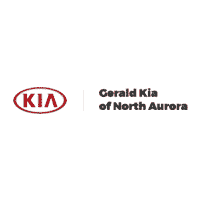 Gerald Kia of North Aurora is conveniently located at 201 Hansen Blvd, North Aurora, IL and we would be happy to help you with all your Kia needs. We are proud to be a part of the North Aurora community and we love helping drivers from all over find their perfect vehicle. We have a wide selection of vehicles available at our dealership, along with a great service center and a friendly staff who is always willing to help with anything you might need. Drivers from all over the North Aurora, Aurora, Naperville, Elgin and Schaumburg areas come to our dealership to have their Kia needs taken care of, and you are always welcome to stop by. Our staff is friendly, knowledgeable and ready to offer any assistance you might need. We can answer your questions about our vehicles, take you out for test drives, take care of your maintenance and repairs and help you get an auto loan. No matter what your auto needs may be, you can count on us. With our help, you can find a great new Kia or used car at our dealership. We have a wide selection of models offered at competitive prices, so all drivers can find their perfect match. We can also help you get the auto loan or lease you need so you can get behind the wheel as soon as you’re ready. Then when you’re out on the North Aurora, Aurora, Naperville, Elgin and Schaumburg roads, you can always come back to our dealership for maintenance and repairs to keep your car running great. No matter where you’re from, you’re welcome to visit us at Gerald Kia of North Aurora and we will gladly help with all your Kia needs. We hope to see you soon! The Gerald family began selling automobiles in the Chicago area, starting with a used car lot and then two more dealerships. The family settled in Skokie and opened Gerald Motors, Inc. The Dealership was awarded its first franchise and operated in the same location until 1997 when it was sold. The Gerald family purchased an existing dealership with a collision center at 1210 East Ogden Avenue in Naperville. Kia was added to this location in June, 2007. We purchased an existing dealership at 1575 W. Ogden and opened our second store in Naperville. We built our third location and added a second franchise in the North Aurora Auto Mall. We purchased an existing dealership located next to our franchise in the North Aurora Auto Mall. We purchased an existing Kia dealership in the North Aurora Auto Mall. We have succeeded in these endeavors because of a profound respect for the customer. The name Gerald stood for honesty and the highest standard of excellence and customer treatment. Gerald management and employees care about, pay attention to, and are close to their customers. Our employees are some of the most outstanding in the business. As this dealership continues to grow, it will be the result of all of our combined efforts, and our dedication and loyalty to the thousands of customers who favor us with their trust and patronage. Over many years, Gerald has meant Service.